 Students attempting to gain admission to the Doctor of Education in Sports Management program must submit all of the following applicable documentation for review. See the complete Admission Requirements in the Academic Catalogs. All prospective students are required to complete the online application form and pay the $100 application fee. All previous official transcripts are required. Full disclosure of all institutions attended and official transcripts from each institution is necessary and mandatory. Failure to do so may delay the application process and/or disqualify a student from admission. Official transcripts may be sent electronically by the registrar using a secured electronic submission system (e.g., Parchment, Clearinghouse, E-Script). Send secure electronic transcripts to: admissions@ussa.edu. Official transcripts on paper should be sent in a sealed envelope to Student Services Admissions Office. Three Recommendation Forms and the FERPA Release. This portion of the application process is not complete until both forms are received. A brief biographical sketch; and an explanation of why the student wants to enter the Academy’s doctoral degree program. In addition, the essay must be written in accordance with guidelines set forth in the Publication Manual of the American Psychological Association (most recent edition) or Concise Rules of APA Style (most recent edition). For more information, go to http://www.apa.org. Qualifying Essays are generally 5-7 pages in length. Essay should be saved as a .doc file and sent to admissions@ussa.edu. Please use the Writer’s Guide for the Qualifying Essay for further instructions and guidelines. All prospective students are required to complete the online application form and pay the $155 application fee. An official, certified copy (English translation) of all college transcripts. Students who have obtained previous graduate education in a country other than the U.S. or Canada must have certified English translations of foreign school transcripts reviewed by a member of the National Association of Credential Evaluation Services in a course-by-course evaluation. Transcripts must demonstrate that a student has attained a minimum of the equivalent of a graduate degree from an accredited institution in order to be admitted to the doctoral program. Once an international student has been officially admitted, the Academy expressly reserves the right to mandate English as a second language (ESL) instruction until reasonable mastery of the English language has been attained. A Certificate of Eligibility (Form I-20) must be obtained if the international student plans to study in the United States (resident students only). A copy of a valid passport and visa (resident students only). Statement of Available Funds (see Issuance of a Certificate of Eligibility) (resident students only).